Next in the series – now available from Fotolia/Adobe Stock &etc. 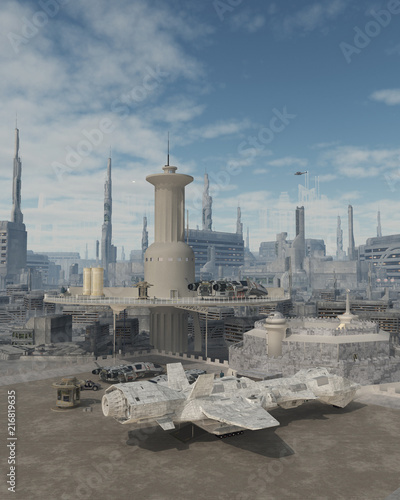 Download the royalty-free photo “Space Ship at a Future City Spaceport – science fiction illustration” created by Algol Designs. ©Algol Designs, all rights reserved.